Have our dinner in Kota Tinggi town. 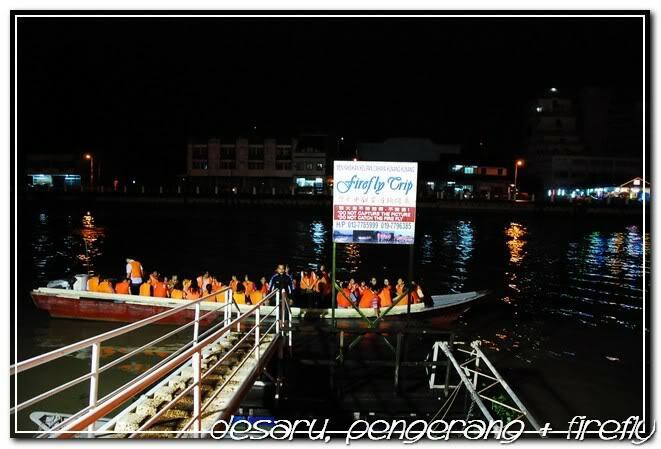 After dinner, we walk to the jetty and board for the boat for our long waited firefly tour. I realize that the firefly are getting more as compare to 2005 and most of the fireflies can be seen from the lower part of the trees. 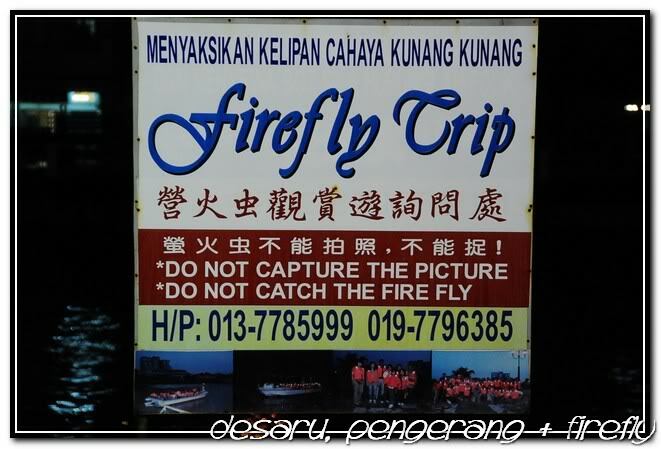 The tickets for the firefly tour can be purchased at the riverside of Kota Tinggi town, it cost RM20 per person. The tour takes about 30 minutes. After the firefly tour, our Desaru, Pengerang and firefly trip comes to the end. Every one enjoyed and had a nice trip. On the way back, we already start talking for our next tour destination.